Computer security experts, including investigators from the National Security Agency, have been working since then to pinpoint the source of the attacks. Until recently, the trail had led only to servers in Taiwan. If supported by further investigation, the findings raise as many questions as they answer, including the possibility that some of the attacks came from China but not necessarily from the Chinese government, or even from Chinese sources. Tracing the attacks further back, to an elite Chinese university and a vocational school, is a breakthrough in a difficult task. Evidence acquired by a United States military contractor that faced the same attacks as Google has even led investigators to suspect a link to a specific computer science class, taught by a Ukrainian professor at the vocational school. 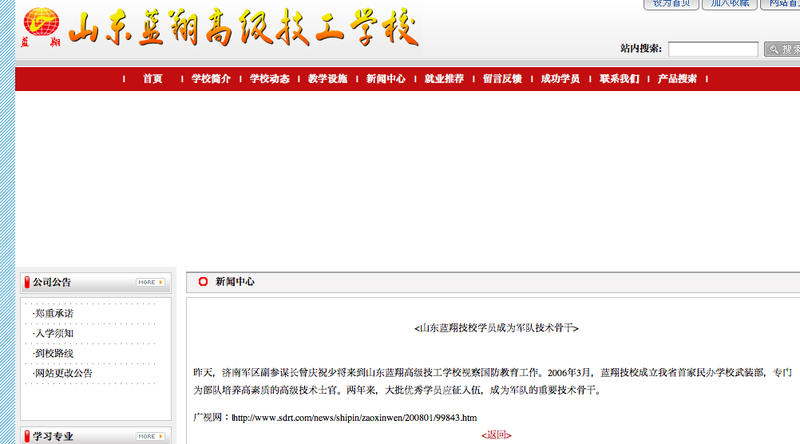 Update: CDT’s further online investigation has found that, according to the school’s own website, the School of Information Security Engineering of Shanghai Jiaotong University is one of the main research units of the China’s “National Information Security Application Demonstration Project” “国家信息安全应用示范工程” – (code name S219) , and the Information Security Project* within the “National 863 Program**.” The school is “a training base for high-level Information Security experts in the national 863 production (east) base” (“国家863产业化（东部）基地信息安全高级专业人才培养基地”). Together with Shanghai Jiaotong University, the Lanxiang Vocational School is also one of the five colleges which are known to have associated with the national “information security” research program, including the Great Firewall of China. The other three schools known to have participated are Harbin Institute of Technology, Beijing University of Post and Telecommunications, and National University of Defense Technology. From information available online, it is not difficult to find connections linking these university research units to the government’s “Information Security” technology research network. For example, from this already deleted list of “Second Term of (National) Internet and Information Security Working Committee (2007),” professor Li Jianhua is listed as a “Member of the Standing Committee”. And the Head of this Committee is none other than Dr. Fang Binxing (方滨兴), a computer scientist, widely known as the the father of the Great Firewall of China. Fang Binxing is the honorary director of the National Computer network Emergency Responses technical Team/Coordination Center of China (CNCERT), a.k.a. the Great Firewall. 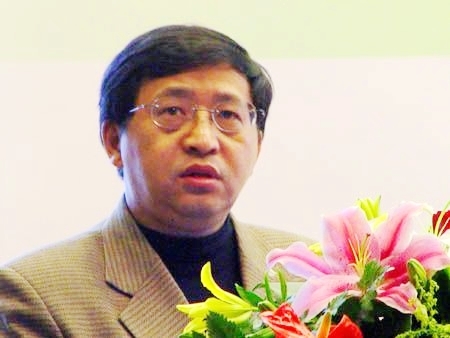 In Dr. Fang’s public resume, he is the current president of the Beijing University of Post and Telecommunications, and he taught and conducted research from 1984-1999 at the School of Computer and Electronic Engineering at the Harbin Institute of Technology. 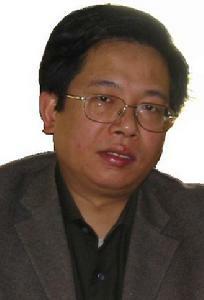 Since 2005, he has also been a Specially Hired Professor (“特聘教授”) at the National University of Defense Technology. 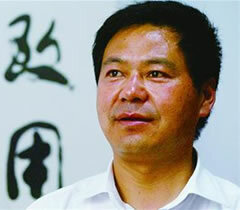 Among many other titles held by Dr. Fang, he has been the Ministry of Public Security’s Specially Hired Expert on Information Security since 2007; a member of the Informationalization Expert Consulting Committee of the People’s Liberation Army General Logistics Department; and in 2001 he was awarded the title of “Outstanding Individual”, jointly given by the Chinese Communist Party Central Organizational Department, Chinese Communist Party Central Propaganda Department, Chinese Communist Party Political and Legal Committee, Ministry of Public Security, Ministry of Civil Affairs and Ministry of Human Resources and Social Security. 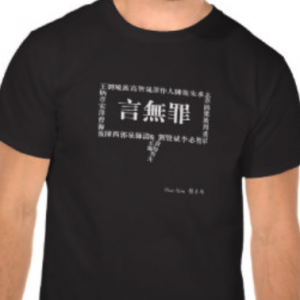 The following photo is currently circulating in Chinese cyberspace. 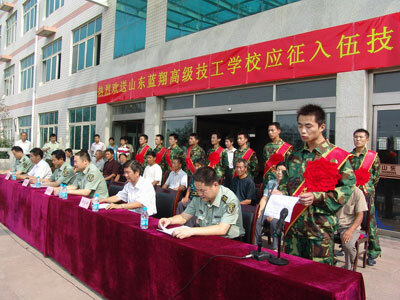 It shows students of the “Lanxiang Vocational School” in 2008 wearing military fatigues. Does Lanxiang really not have any military background? CDT’s online investigation says just the opposite. In addition to the samples illustrated in this post earlier, here are more examples showing that Lanxiang does have strong connections to the PLA. On December 25, 2009, the Lanxiang Vocational School party secretary Li Zixiang reported to a senior visiting PLA officer about the school’s work of training PLA officers over the years. Over the past five years, Lanxiang Vocational School has trained 3000 PLA soldiers, officers, veterans and their families. * The phrase “Information Security” may be very “neutral” sounding. But in recent public policy speeches, Dr. Fang Binxing has emphasized a unique Chinese government concept of “content security“, which includes information surveillance and blocking, and public opinion analysis and monitoring. According to Dr. Fang, China’s top “Information Security” expert, the concept of “content security” is included in the Chinese “Information Security” category. Fang Binxing’s latest research project is none other than “Online Public Opinion Surveillance and Monitoring System.” Professor Li Jianhua’s work also includes “Internet Media Content Ranking Technology for Surveillance and Management” (2001-2002) (网络媒体的内容分级监管技术), “Internet Media Surveillance and Management Information System” (2003) (“网络媒体监管信息系统) and “Content Security Surveillance and Management System and Methods Based on Digital Tags” “基于数字标签的内容安全监控系统及方法” which is already patterned in China. 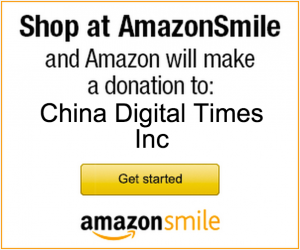 – The official response to the New York Times story via Xinhua.